A fresh mozzarella and tomato dish drizzled with balsamic dressing. A delicious, slow roasted, all natural turkey. A delectable stuffing dish, potato dish, and vegetable dish. For stuffing, choose between our traditional herb stuffing and our famous sausage stuffing with apples and cranberries. For potatoes, choose between candied sweet potatoes and whipped mashed potatoes. And for vegetables, choose between string bean almondine and a roasted vegetable medley. 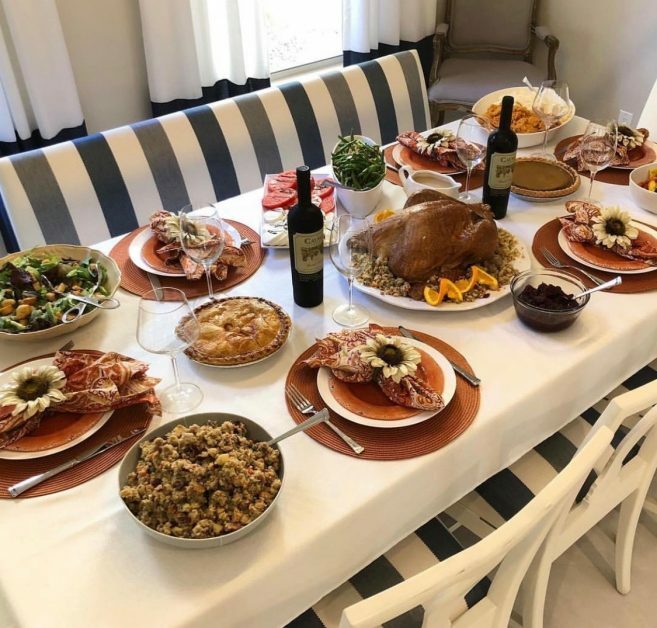 We provide our homemade turkey gravy, cranberry sauce, and garden salad as dinner extras and an apple pie and pumpkin pie to enjoy for dessert. 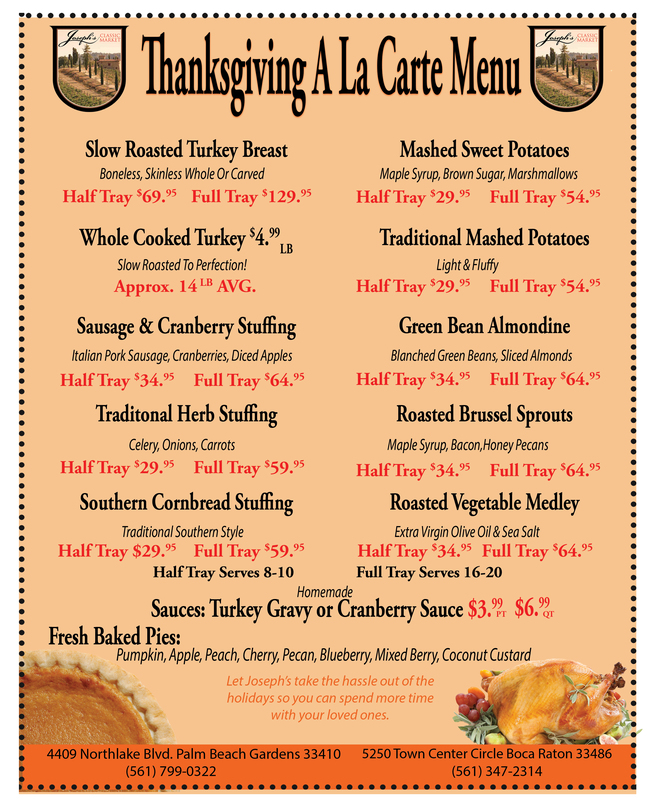 Order your thanksgiving dinner package or a la carte thanksgiving items today! 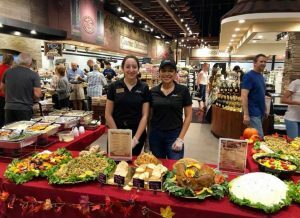 We’re confident that you and your guests will love our flavorful Thanksgiving dinner, so don’t wait to order! All orders must be placed by Sunday, November 18th. We take orders online, over the phone, and in store. The package is $149.99 and serves 10 to 12 people. For smaller or larger party sizes, check out our a la carte menu. For Palm Beach Gardens orders, call (561) 799-0322. For Boca Raton orders, call (561) 347-2314.